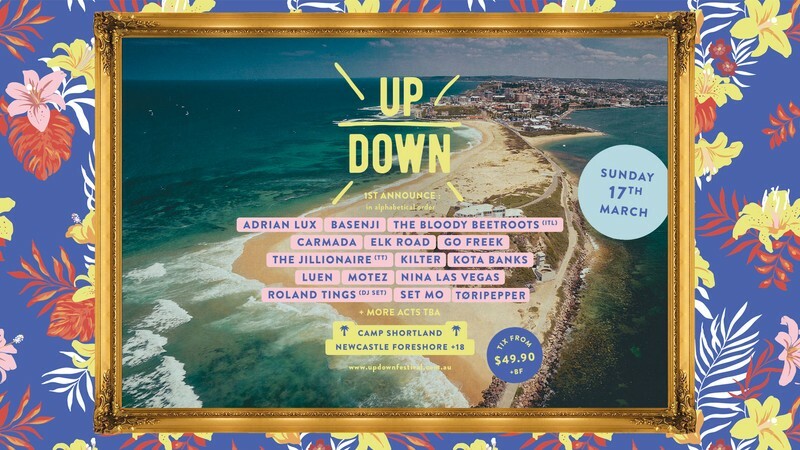 Curated by the team behind beloved Newcastle institution This That, Up Down combines all the smells, tastes and sounds of a Sunday session party on the beach. The two stage gathering has limited capacity to maximise the right vibes. With pop up cocktail bars & the best street food to offer, Up Down will satisfy your needs for a relaxing afternoon out, so pull out those board shorts & back ties, frocks & flowers. Leading the field are Italian dance punks The Bloody Beetroots, returning to Australia for the first time since 2016. They'll punch out bounce-worthy classics like 'Rocksteady' and 'Warp 1.9' to shake up the sandy soil. Also flying in for the occasion is Swedish 'Teenage Crimes' mastermind Adrian Lux bringing his very best house music vibes to the beach. Caribbean dreams take over Up Down with Trinidadian dancehall and soca king The Jillionaire (of Major Lazer fame) getting tropical. Miracle worker Motez leads a strong contingent of Aussie flavours, bringing his impressive floor-fillers to Up Down's debut event. Set Mo's 'White Dress' and 'I Belong Here' are best enjoyed with a sunset and drink in hand—Up Down can provide both when they hit the stage. High energy hits when the likes of Carmada, Nina Las Vegas, Luen, Basenji, Tøripepper, Go Freek and Kilter get up. Or get down with the smooth sounds of Kota Banks, Roland Tings and Elk Road. With early bird tickets already sold out, the remaining passes are expected to move fast. The festival is also running a buy four, get one free 'Party Pack' offer until sold out!